At the 2017 edition of the ProCigar Festival in the Dominican Republic, La Aurora introduced a brand known as La Aurora ADN Dominicano. It was a line that would be launched as a regular offering at the 2017 IPCPR Trade Show. Now at ProCigar 2018, La Aurora will introduce a limited edition Corona Gorda offering. It is one of several items La Aurora will showcase at the festival taking place in Santiago de los Caballeros, Dominican Republic, from February 18 through February 23rd, 2018. The new La Aurora ADN Dominicano Corona Gorda being showcased at this year’s ProCigar measures 6 x 47. La Aurora will bring 500 cigars to the festival. ADN Dominicano stands for “Dominican DNA”. The signature characteristic of this cigar is that it contains Andullo tobacco While Andullo isn’t very common in a premium hand-made cigar, the use of Andullo tobacco is an old Dominican process and the company pays homage to that process with the ADN Dominicano release. 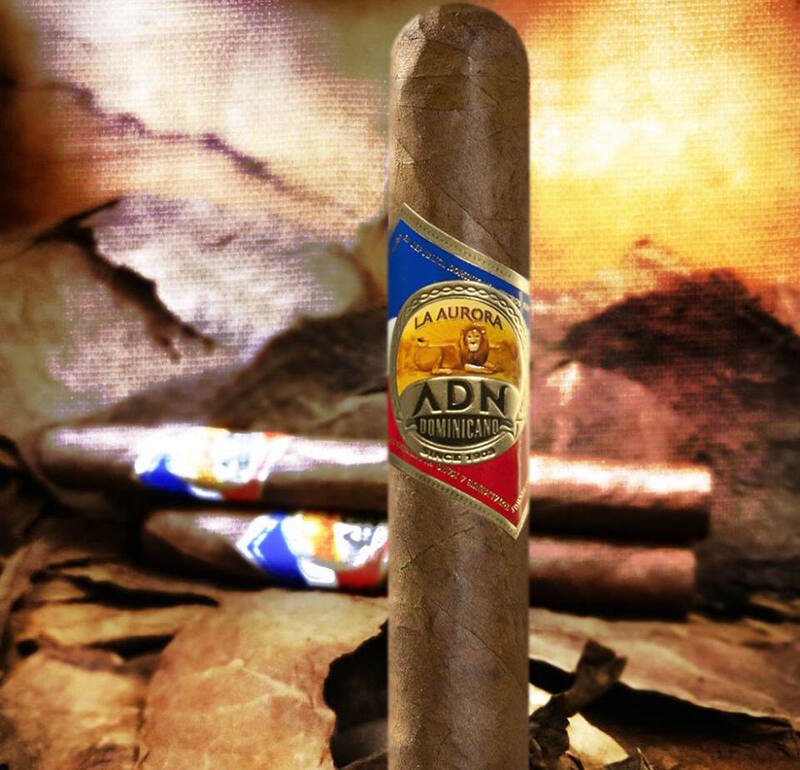 The Andullo tobacco for the La Aurora ADN Dominicano is used in the filler with Pennsylvanian, Dominican, and Nicaraguan fillers. The cigars feature a Cameroon binder and a Dominican wrapper from the Cibao valley. The Corona Gorda is not currently in regular production. Currently, the regular production sizes include: Robusto, Toro, Churchill, and Gran Toro. La Aurora will also showcase both a limited edition cigar known as La Aurora Hors D’Age and the release of the La Aurora Preferidos 1903 Edition Double Barrel Aged to the Dominican market. There also will be a special humidor containing the parejo versions of the 1903 Edition Double Barrel Aged that will made available to for the ProCigar charity auction.